EVS Distribution, Dinnissen’s partner in France, has delivered tailor-made sifters to one of the major manufacturers in the starch industry. According to the demand of the customer this special sifter should prevent cross contamination by means of improved inspection methods. 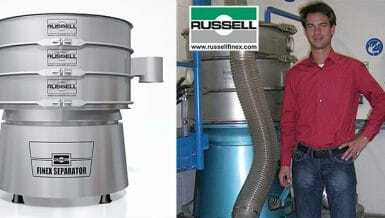 The solution was a new innovation of Dinnissen; the Wingdoor sifter. Innovation is in our DNA. 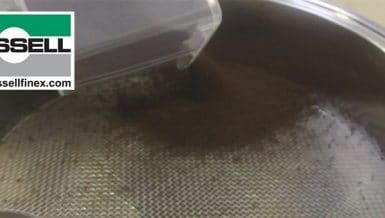 Developing a new sifter with improved inspection methods to prevent cross contamination was a challenging task that Dinnissen was happy to accept. Thanks to the extensive experience and expertise, the engineers at Dinnissen developed the custom-made Wingdoor sifter; a perfect combination of innovative power and the sieving process. The major advantage of this machine is that the doors can now open over the entire length of the machine. 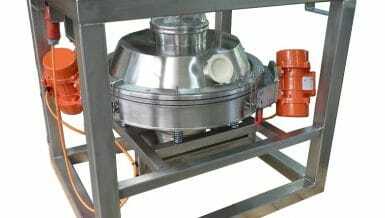 Therefore, the sieve does not need to be driven out for inspection, so that cross contamination is prevented. The replacement of the sieve mesh is naturally very efficient because the sieve basket can still be moved out of the machine. 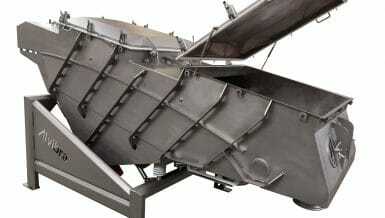 In addition, the Wingdoor sifter can reach capacities up to 30 tonnes per hour depending on the product. By delivering in coordination with the customers’ planning, Dinnissen was able to optimally respond to the clients’ schedule. In addition, the client had prepared all surrounding equipment and subsequently the Wingdoor sifter was installed with the help of detailed 3D drawings of Dinnissen. This successful installation was made possible due to the fruitful cooperation between Dinnissen Process Technology and EVS Distribution. For the last five years, EVS Distribution has already sold numerous Dinnissen machines.